In the interest of bringing not so popular information to your attention, I thought you might find the article below of interest. Besides all of the currently known positive features of nuclear plants, there is yet another not advertised at all. Nuclear engineers created a new process, or more accurately a re-process, which reduces the nuclear waste from large power plants which has caused so much fear in America. The concern has been that we would destroy ourselves by putting waste material in the ground. 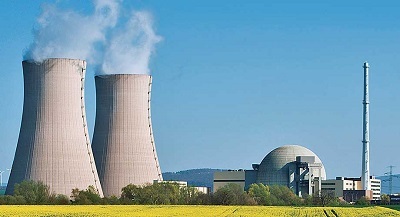 But with the new process which involves creating much smaller nuclear plants (i.e., local) and running them on ‘used’ nuclear waste, they can reduce the radioactivity levels down to only 10% of what older plants create. And, we could have numerous plants to drive local communities with a lot of inexpensive electrical power.